Telescoping bed rails by AMG is designed to provide safety and protection to patients falling out of the bed. Features Chrome finished cross bars. 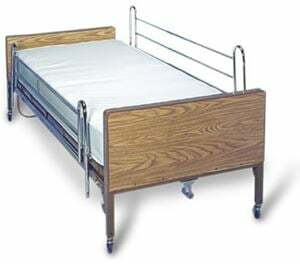 Designed to use on woven spring hospital beds. Installation is free without the need of any tools. Head or foot of the rails can easily be adjusted. Transfer of patients is also easy.